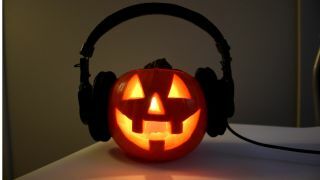 Sound designers AudioThing have released a terrifyingly interesting sound library for Native Instruments Kontakt, titled Halloween Pumpkins. Featuring 76 samples taken from a series of audio experiments with actual pumpkins, the collection promises "spooky bowed textures, creepy hits" and more. Perhaps most curiously of all, Halloween Pumpkins offers an experimental convolution reverb impulse response of the inside of a large pumpkin. According to AudioThing: "The pumpkins were sampled with two mics, a large diaphragm condenser mic and a piezo attached directly to the skin, then mixed to match the perfect eerie sound." If you're feeling suddenly possessed by the urge to make music, head over to AudioThing.net to find out more.